PRICES ARE ACTUALIZED BY THE RUBLE COURSE AS OF 11/05/2015 (0.45 CPC). PRICES MAY CHANGE. REFINE AT THE BOOKING. 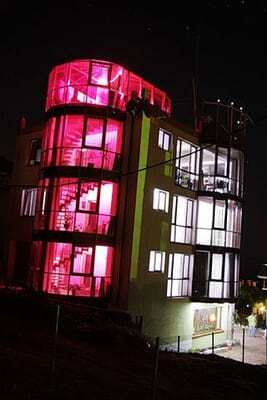 Villa "Beliv" is a modern four-story building with original architecture. 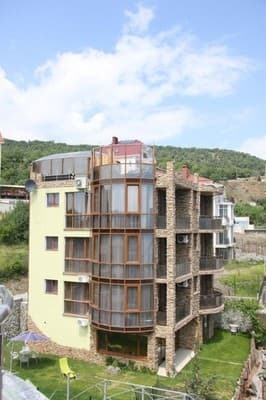 Villa "Beliv" is located in a quiet and cozy place Alushta (Professorsky Corner), at the foot of the mountain Castel, 150 meters from the sea, far from the city bustle, which creates excellent conditions for recreation. The villa has comfortable and cozy rooms equipped with everything you need for relaxation: modern furniture, household appliances, LCD TVs, satellite TV, individual air conditioning, large bathrooms with Italian sanitary equipment, autonomous heating and water supply. Wi-fi is available. On the territory of the villa "Beliv" there is a secure parking for 15 cars. Description of the room: This room measures 16.2 square meters. 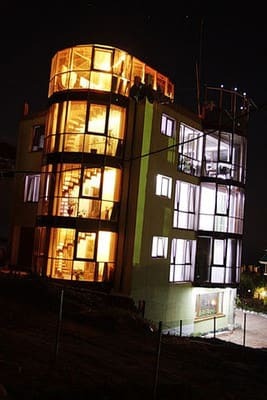 In the room there is a double bed, two bedside tables, a wardrobe, appliances, an individual air-conditioning system, a large bathroom with Italian sanitary equipment. Description of the room: The room area is 18.56 sq.m. 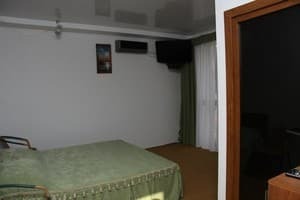 In the room there is a double bed, two bedside tables, a wardrobe, appliances, an individual air-conditioning system, a large bathroom with Italian sanitary equipment. 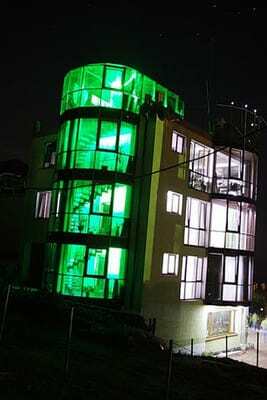 Description of the room: Room with an area of ​​25.3 square meters. 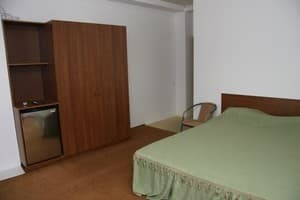 In the room there is a double bed, two bedside tables, a wardrobe, appliances, an individual air-conditioning system, a large bathroom with Italian sanitary equipment. Хозяева гостиницы - милые люди. Хорошая,ухоженная территория рядом с виллой. Положительным моментом в отдыхе с маленьким ребенком является наличие газона рядом с виллой и ковролина в номерах. Отсутствие балкона в номере стандарт. Отсутствие в гостинице предоставляемой детской кроватки. Additional place - 100 UAH., From 11/07/2013 - 31/08/2013 the cost of additional space is 150 UAH. 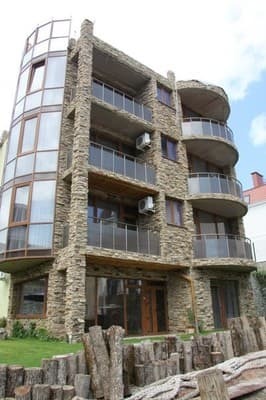 Villa "Beliv" is located in a quiet and cozy place Alushta (Professorsky Corner), at the foot of the mountain Castel, 150 meters from the sea, far from the city bustle, which creates excellent conditions for recreation. GPS: 44.641162,34.397346. From Simferopol to get to Alushta is not difficult: near the railway station (exit to McDonald's, in the direction of the tower with a clock) are auto- and trolleybus stations. Next, by bus, minibus or trolleybus No. 51, No. 52 for an hour.